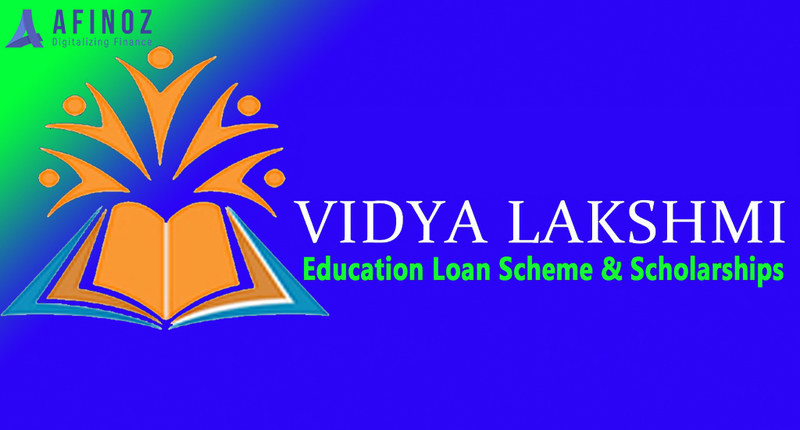 How to Apply Online for Vidya Lakshmi Education Loan? Education is of high priority as it lays down the strong foundation of one’s career. With the continuously growing cost of education, it is becoming increasingly difficult for parents to fund the higher education of their child. The stable and successful career is, therefore, moving beyond the reach of many aspiring students. Best Education loan allows students the life of their dreams by helping them fund their higher education. But getting an education loan is not a piece of cake. The process of getting education loan involves a lot of steps. From listing education loans to comparing them all, getting a loan is opening a Pandora’s box. Are looking for a loan? Does the process of finding and applying for right loan intimidate you? Don’t worry. The government has come to your aid. Yes, the government has launched Vidya Lakshmi Portal to assist you to get the right educational loan that suits your needs. Vidya Lakshmi is an educational loan portal run by the government. This is a single platform where students can get all the information on an educational loan. The portal lists educational loan offered by more than 34 banks. Vidya Lakshmi education loan portal follows the guidelines laid down by the Indian Bank Association (IBA). This portal is operating under the Department of Higher Education, Department of Financial Services and IBA. The online portal has been able to help students from remote areas and with humble background get the much-needed financial assistance for higher studies through its scholarship initiative – Vidyasaarthi. Vidya Lakshmi Education Loan Portal not only lists information of various banks but also allows you to apply to multiple banks with just one form. Now, you might be wondering how you can apply for an education loan? Let’s check out how you can do so. The applicants willing to take advantage of Vidya Lakshmi Portal must register themselves. By registering themselves students’ access to educational loan information and applications provided by various banks, institutes and Government scholarships. To register, you will have to fill up a simple form asking you to provide your full name and contact details. You will have to set a login password at this stage. Students, parents and guardians can register themselves. After you have registered yourself on Vidya Lakshmi Education Loan platform, use your registered email id and password to log in. Once you have logged into the portal, fill-up the Common Education Loan Application Form or CELAF. You must provide all the mandatory details. Common Educational Loan Application Form or CELAF is a single form which you can fill to apply to multiple educational loan schemes or banks. After you have filled up the form, you must look for education loans that suit your needs & convenience and matches your eligibility. When you find the education loan of your choice, you can apply. Note: Alternatively, you can change step 3 & 4. You can log in and search for education loans and then apply by filling the CELAF. After you have submitted the form, banks will reach you out. You can compare the interest rates, repayment terms and other aspect and choose one out of them. When you have chosen a bank, you can provide all the necessary documents and fulfil all the mandatory requirements by visiting the nearest branch. After all the necessary procedures are complete, it takes 15 days for the loan to disburse. At present there are around 42 banks listed in the portal, you must compare the offerings well before choosing the right education loan for you. Students have the freedom to review, compare, apply and track their education loan applications anytime & anywhere. By accessing the portal you can also get links to National scholarship portal. Vidya Lakshmi is one of its kind portals for students looking for an education loan. With one form, you can apply to multiple banks and embark on your journey of a successful career. To apply for this education loan, please give in your details in the form. We will assist you in the best possible manner.